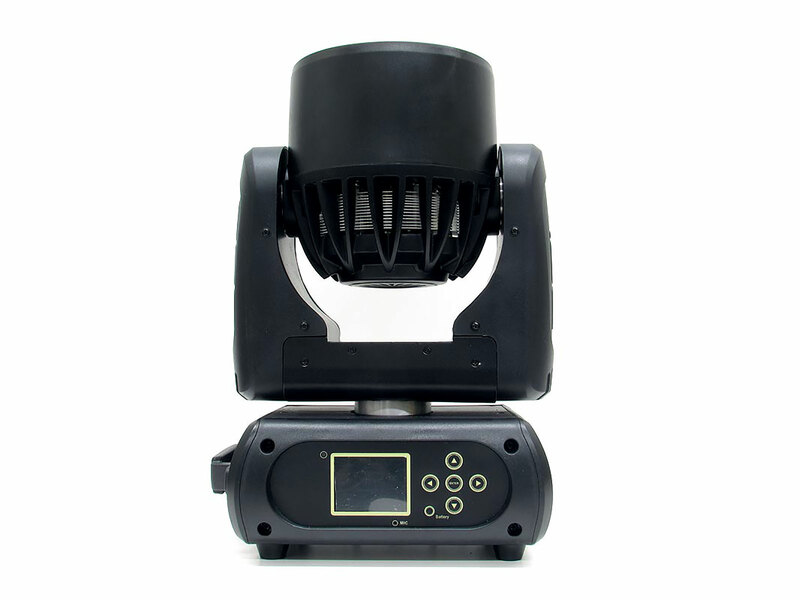 The BSL Magic Zoom 7 is a small, yet incredibly quick wash moving head with motorized zoom. 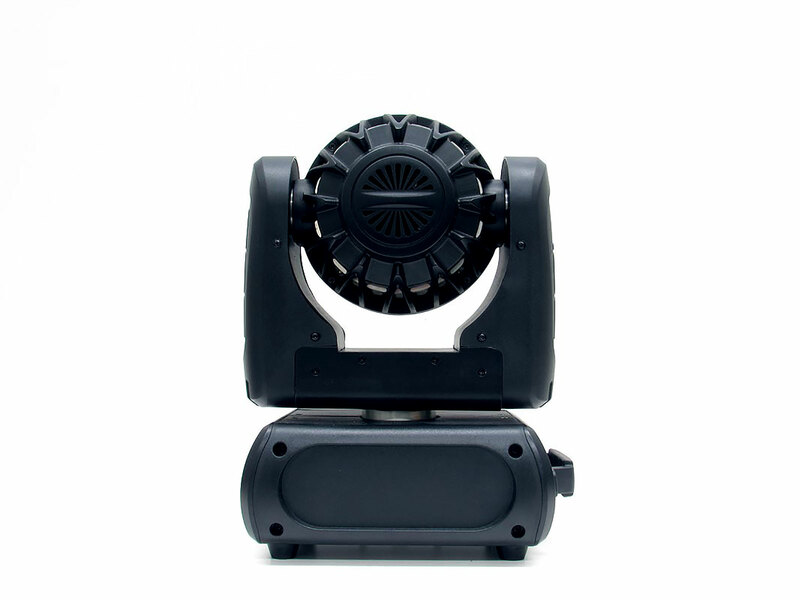 Thanks to its special honeycomb lens, it has perfect colour mixing and a zoom ranging from 6 to 66 degrees. 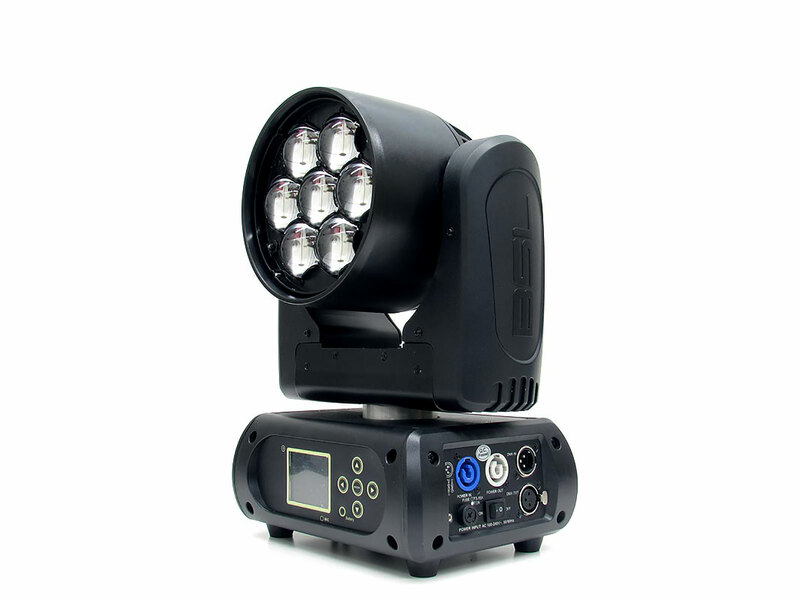 On top of that, the moving head is equipped with powerful three phase motors to ensure swift and noiseless motion. 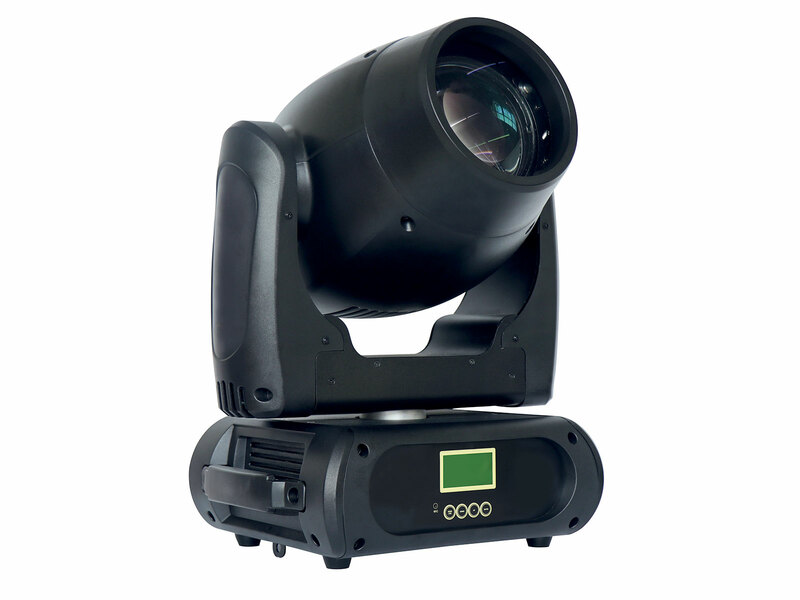 RDM is also a feature of this moving head, which makes for easy changing of the DMX address, DMX mode and reading logbooks containing possible errors. 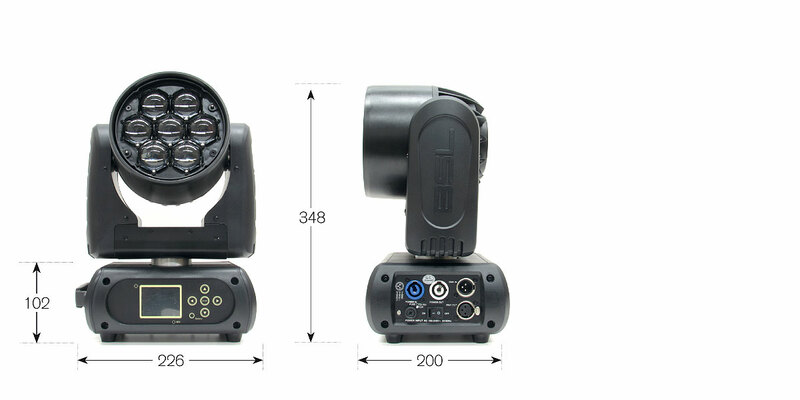 This way you can remotely access the moving head whilst using it. By making use of high quality components, a long lifetime is guaranteed. 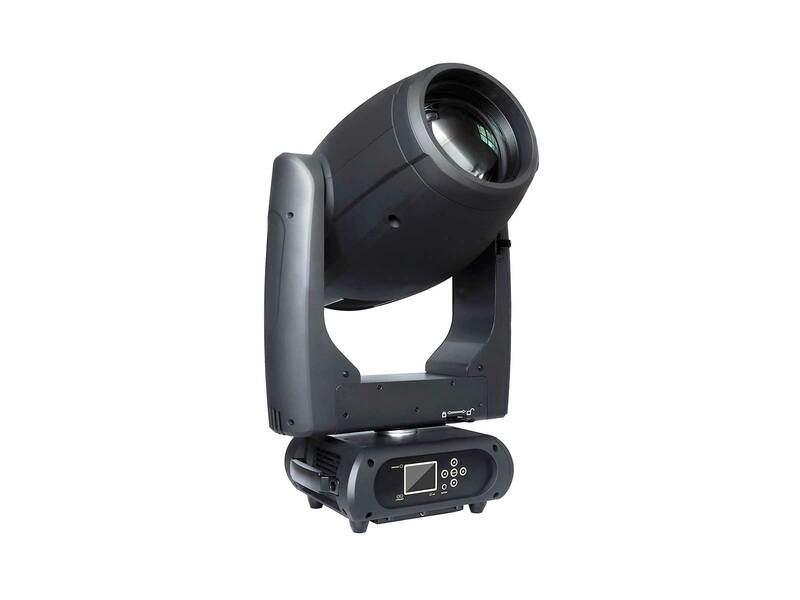 For example, 15 Watt RGBW Osram Ostar LED’s are used, which can create an infinite amount of effects through pixel control. 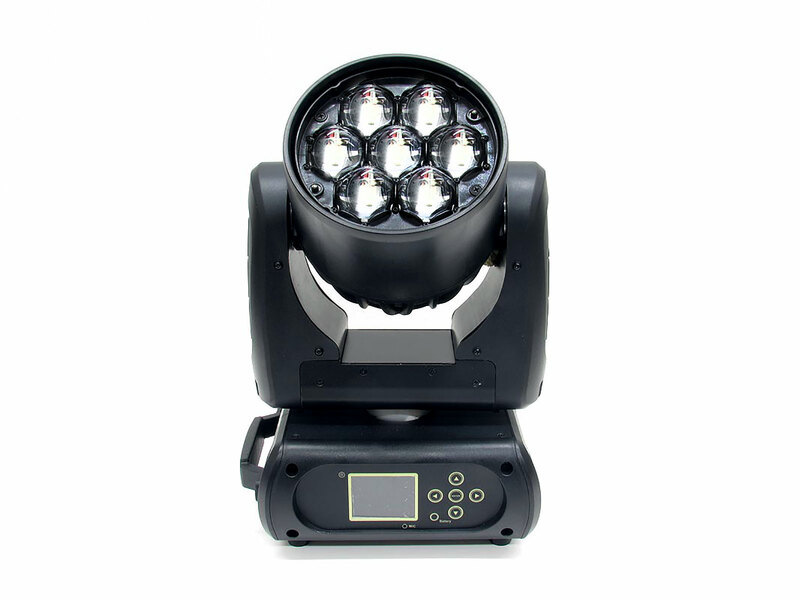 Furthermore, these LED’s have an efficiency never seen before and optics designed especially for these LED’s. 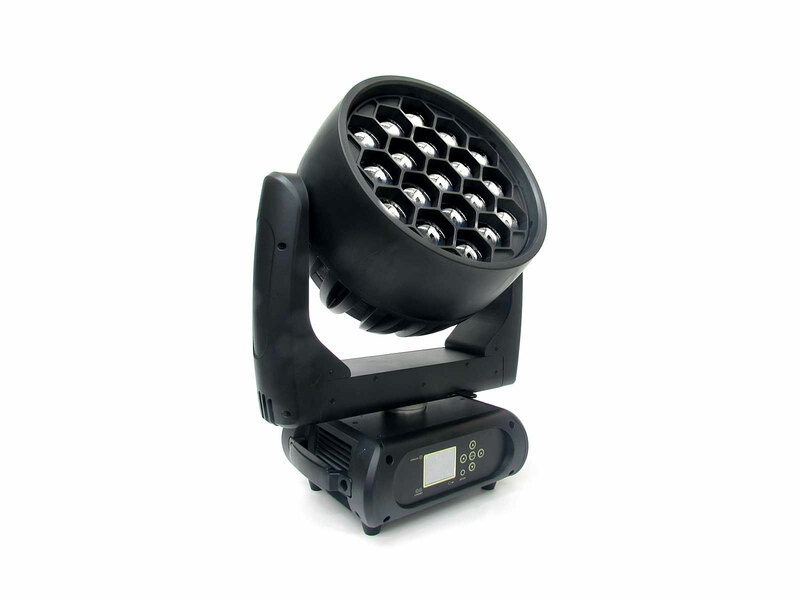 These LED’s are cooled by an advanced liquid cooling system which is also protected against overheating. In beam mode it has a very tight and neat bundle of six degrees without any scattered light. This and the fact that it has powerful and fast motors make for an incredible effect. In wash mode you can create a bundle with a maximum angle of 66 degrees. 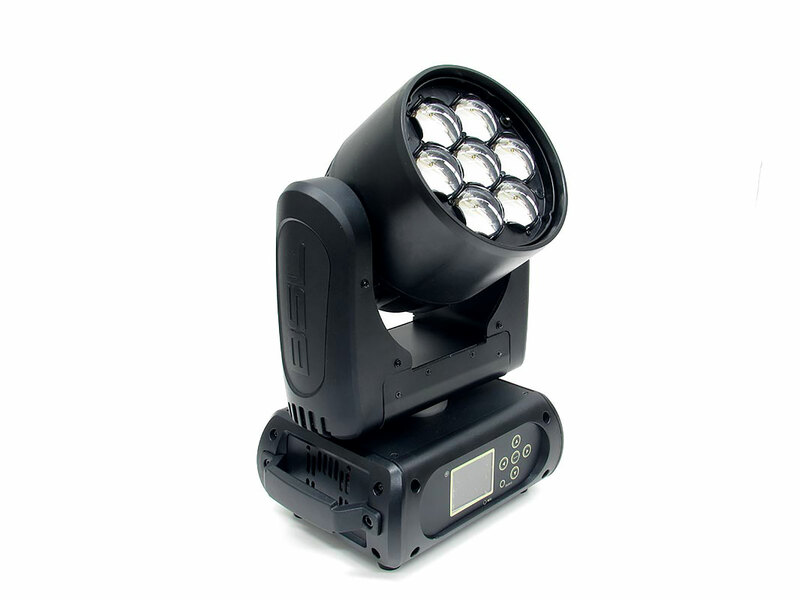 This way you can light up large surfaces as well in the blink of an eye. 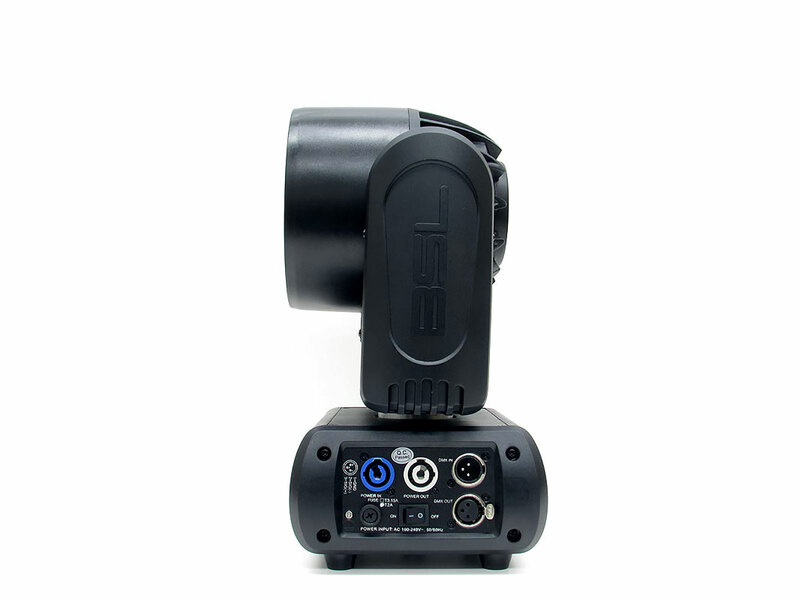 In short, the BSL Magic Zoom 7 is a small, as quick as lightning moving head with powerful output and a zoom ranging from 6 to 66 degrees.